Represenation of chemistry and machine learning: what do X1, X2, and X3 mean? 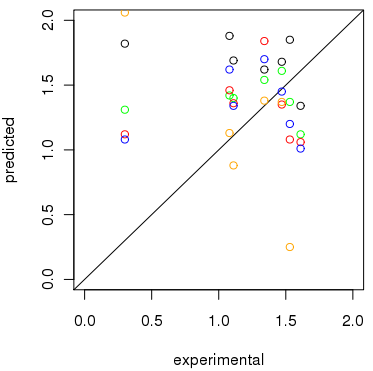 predicting the experimental value (yellow). Machine learning in chemistry, or multivariate statistics, or chemometrics, is a field that uses computational and mathematical methods to find patterns in data. And if you use them right, you can make it correlate those features to a dependent variable, allowing you to predict them from those features. Example: if you know a molecule has a carboxylic acid, then it is more acidic. The patterns (features) and correlation needs to be established. An overfitted model will say: if it is this molecule than the pKa is that, but if it is that molecule then the pKa is such. An underfitted model will say: if there is an oxygen, than the compound is more acidic. The field of chemometrics and cheminformatics have a few decades of experience in hitting the right level of fitness. But that's a lot of literature. It took me literally a four year PhD project to get some grips on it (want a print copy for your library?). Ideally, every unique aspect has a unique X to represent it, but this is sometimes hard with our cheminformatics toolboxes. As studied in my thesis, this can be overcome by the statistical modelling, but there is some interplay between the representation and modelling. So, how common is difficulty #1 and #2. Well, I was discussing #1 with a former collaborator at AstraZeneca in Sweden last Monday: we were building QSAR models including features that capture chirality (I think it was a cool project) and we wanted to use R, S chirality annotation for atoms. However, it turned out this CIP model suffers from difficulty #1: even if the 3D distribution of atoms around a chiral atom (yes, I saw the discussion about using such words on Twitter, but you know what I mean) does not change, in the CIP model, a remote change in the structure can flip the R to an S label. So, we have the exact same single 3D fragment, but an X1 and X2. Noel seems to have found in canonical SMILES another example of this. I had some trouble understanding the exact combination of representation and deep neural networks (DNN), but the above is likely to apply. 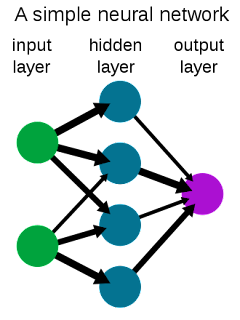 A neural network has a certain number if input neurons (green, in image) and each neuron studies one X. So, think of them as neuron X1, X2, X3, etc. Each neuron has weighted links (black arrows) to intermediate neurons (blueish) that propagate knowledge about the modeled system, and those are linked to the output layer (purple), which, for example, reflects the predicted pKa. By tuning the weights the neural network learns what features are important for what output value: if X1 is unimportant, it will propagate less information (low weight). So, it immediately visualizes what happens if we have difficulty #1: the DNN needs to learn more weights without more complex data (with a higher chance of overfitting). Similarly, if we have difficulty #2, we still have only one set of paths from a single green input neuron to that single output neuron; one path to determine the outcome of the purple neuron. If trained properly, it will reduce the weights for such nodes, and focus on other input nodes. But the problem is clear too, the original two real molecular aspects cannot be seriously taken into account. What does that mean about Noel's canonical SMILES questions. I am not entirely sure, as I would need to know more info on how the SMILES is translated (feeded into) the green input layer. But I'm reasonable sure that it involves the two aforementioned difficulties; sure enough to write up this reply... Back to you, Noel! 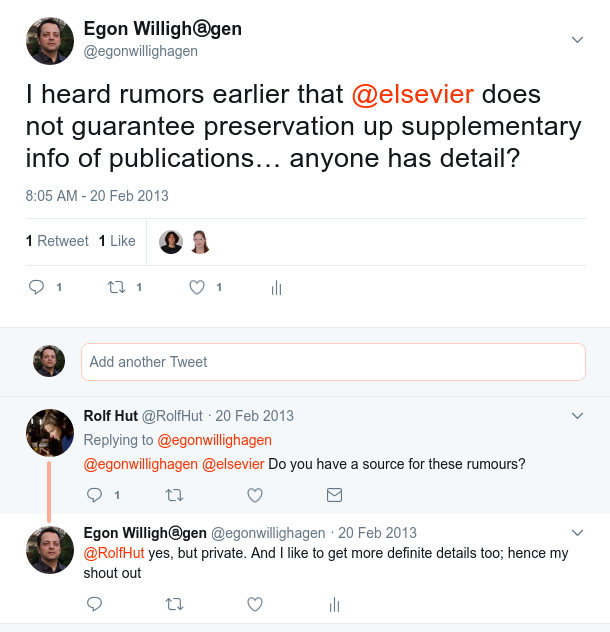 Supplementary files: just an extra, or essential information? Journal articles have evolved in an elaborate dissemination channel focusing on the narrative of the new finding. Some journals focus on recording all the details to reproduce the work, while others focus just on the narrative, overviews, and impact. Sadly, there are no databases that tell you which journal does what. An intermediate solution is the supplementary information part of publications. Supplementary information, also called Additional files, are a way for author to provide more detail. 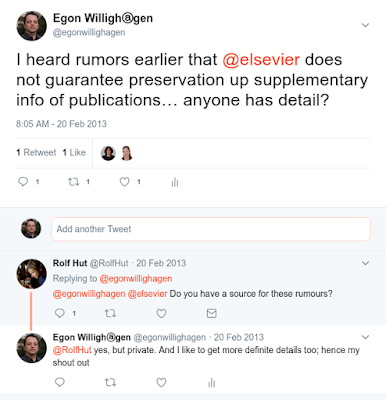 In an proper Open Science world, it would not exist: all the details would be available in data repositories, databases, electronic notebooks, source code repositories, etc, etc. The community is moving in that direction, and publishers are slowly picking this up (slowly? Yes, more than 7 years ago I wrote about the same topic): supplementary information remains. But there are some issues with supplementary information (SI), which I will discuss below. 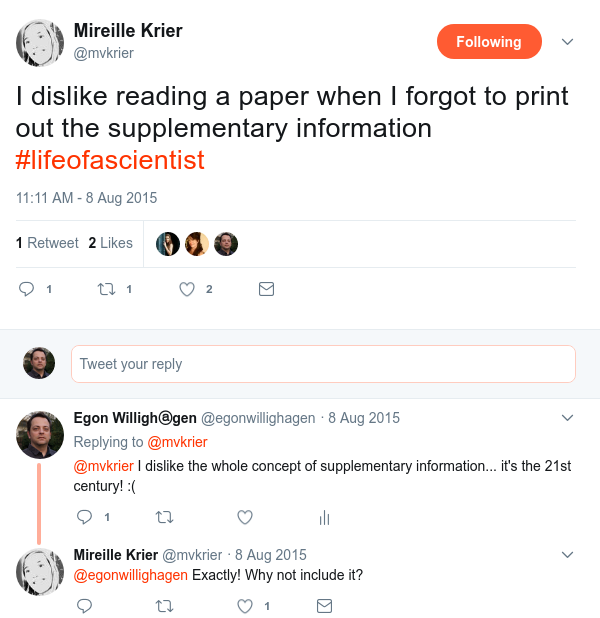 But let me first say that I do not like this idea of supplementary information at all: content is either important to the paper, or it is not. If it is just relevant, then just cite it. I am not the only one who finds it not convenient that SI is not integral part of a publication. A few problems is that it is not integral part of the publications. 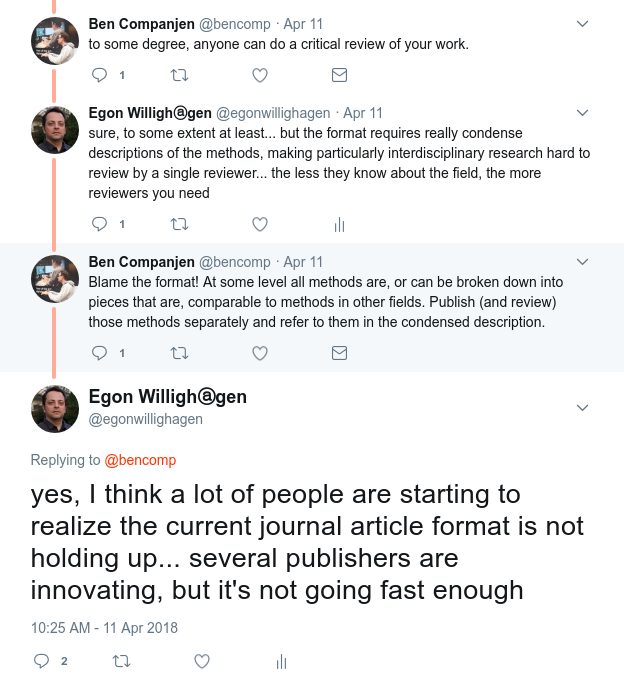 Those journals that still do print, and there likely lies the original of the concept, do not want to print all the details, because it would make the journal too thick. But when an article is peer-reviewed, content in the main article is better reviewed than the SI. Does this cause problems? Sure! Remember this SI content analysis of Excel content (doi:10.1186/s13059-016-1044-7)? One of the issues here is that publishers do not generally have computer-assisted peer-review / authoring tools in place; tools that help authors and reviewers get a faster and better overview of the material they are writing and/or reviewing. 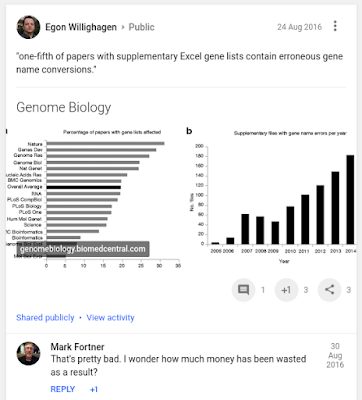 Excel gene ID/data issues can be prevented, if we only wanted. Same for SMILES strings for chemical compounds, see e.g. How to test SMILES strings in Supplementary Information but there is much older examples of this, e.g. by the Murray-Rust lab (see doi:10.1039/B411033A). 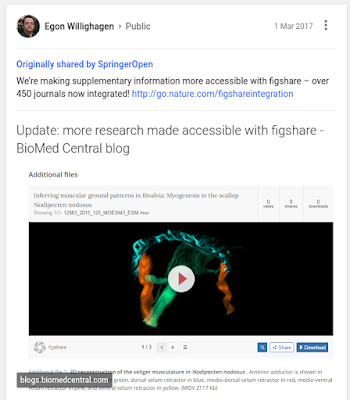 But mind you, Figshare promises archival for a longer period of time, but nothing that comes close to what libraries provide. So, I still think the Dutch universities must handle such data repositories (and databases) as essential component of what to archive long time, just like books. A final problem I like to touch upon is very briefly is reuse. In cheminformatics it is quite common to reuse SI from other articles. I assume mostly because the information in that dataset is not available from other resources. With SI increasingly available from Figshare, this may change. However, reuse of SI by databases is rare and also not always easy.